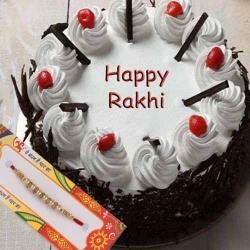 Make happy your brothers with this exclusive Rakhi gift. The overflowing love for your brother on this Raksha Bandhan will be conveying with this rakhi gift. It is all set to bring more beauty to the relations. 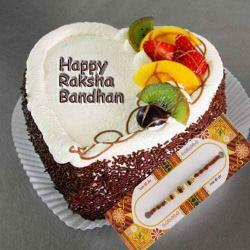 If you are unable to attend Raksha Bandhan festival this year with your family then you are at right path. So on behalf of you Giftacrossindia.com will send Rakhi to anywhere in India with your love and blessings. Celebration is incomplete without cake. 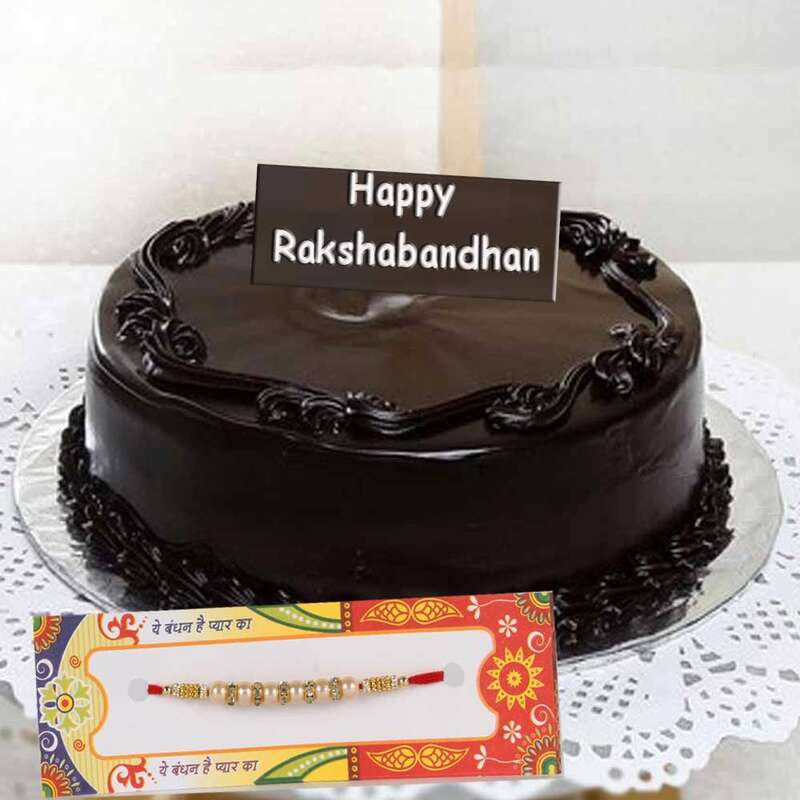 This is accompanied by rakhi which is a traditional pre-requisite for sisters and Chocolate Cake which is a lip smacking round-off to the festive celebrations. 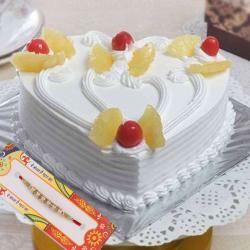 We offer e-online similar rakhi with yummy cake for your darling brothers who wanted the blessing with love equally from his loving sister. Let the bond grow stronger with this beautiful rakhi and cakes. 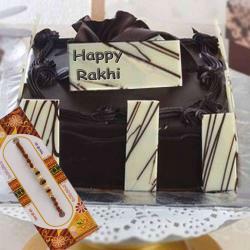 Product Includes: 1/2 Kg Dark Chocolate Cake along with Designer Rakhi.